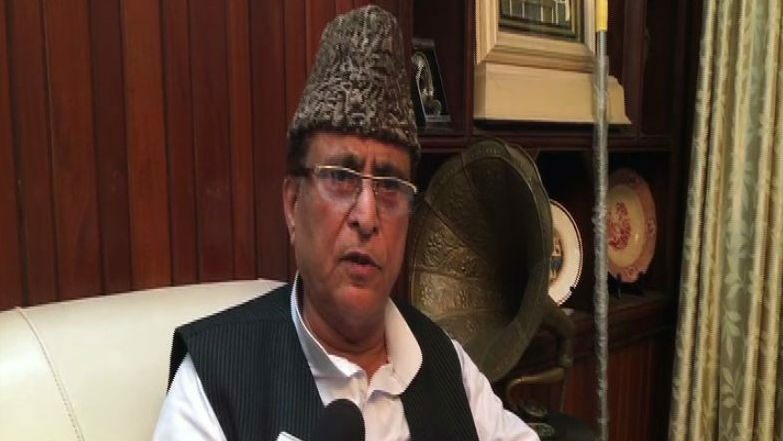 Rampur (Uttar Pradesh), Apr 15: Azam Khan on Monday clarified that he did not make any objectionable remarks against film actor and BJP candidate Jaya Prada, fighting the Lok Sabha polls from Rampur against him. Khan's clarification came after he allegedly while addressing a poll campaign rally here, made a below-the-belt remark against Prada. "I brought her (Jaya Prada) to Rampur. You are a witness that I did not allow anyone to touch her body. It took you 17 years to identify her real face but I got to know in 17 days that she wears khaki underp****," Khan said on Sunday. Azam Khan's 'Khaki Underwear' Jibe at Jaya Prada Further Lowers Discourse in Lok Sabha Elections 2019; Watch Video. Asserting that he did not name anyone, the Samajwadi leader told ANI that he would withdraw his candidature from the ongoing polls if proved guilty. "I have said that people took time to know real face in reference to a man once said that he brought 150 rifles with him and if he sees Azam, he would have shot him dead. My leaders also did a mistake. Now, it has been revealed that he has an RSS pant on his body. Short is worn by men," Khan told ANI. "I was a nine-time MLA from Rampur and been a minister. I know what to say. "If anyone proves that I have named anyone and insulted anyone by name. If it is proved, I will step back from the elections," he added. Khan also accused the media of misinterpreting his comments. "I am disappointed. Media did not like me; I also did not like them. They have caused damage to the country," he said. The actor-turned-politician Jaya Prada had won the Rampur Lok Sabha seat in 2004 and 2009 on SP ticket but later she was expelled on account of alleged anti-party activities in 2010. She had joined the BJP last month. Rampur Lok Sabha Constituency in Uttar Pradesh: Candidates, Current MP, Polling Date and Election Results 2019.